My Microsoft Lumia 950 is sucking wind right now. My specific phone is 14 months old (dropped the original at Home Depot – broke everything). But the model is, well…..old. Working ok, but I am getting these occasional freezes, that sometime take 5 to 10 seconds to recover. Waiting for news of the mystical Surface Phone so I can continue to endure the pain of disappearing apps and freezes, with at least some hope. I figured if this phone takes a dump, I could get an HP Elite 3 Windows Phone to carry me through to the Surface Phone, which may, or may not appear sometime in 2018. But just yesterday, HP announced they are discontinuing the model. I may have to settle for refurbs if I choose to continue to hold out. Microsoft has said they will reenter the mobile phone market when they have a real differentiator. Well, maybe there is no such thing as a “real” differentiator. So I may have to wait forever. But I can only have virtuous patience for so long. 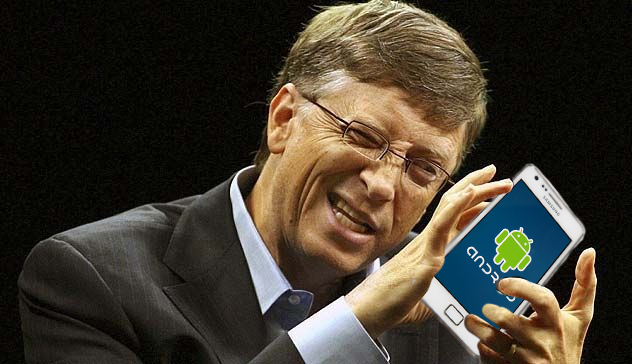 Today, it was reported that Bill Gates is now using an Android Phone. What’s up with that. I always said that regarding Windows Phone, I would be the last man standing. But I always expected Bill to be standing by my side. It’s getting lonely out here. I feel increasingly silly every passing day that I carry a Windows Phone. The grim reality has started creeping into the peripheral noise and nuisances of my days as apps disappear, CEO’s switch hardware, and new hardware slips the surly bonds of two year old tech for edgeless displays and better battery life. F$@# an iPhone though. At least my phone can scan my iris without me peering into it like a f@#$ing zombie while hoping my 1,000$ electronic disappointment is not a total farce designed to do nothing but take away a much better unlock method in the name of “progress” and sell a few proprietary accessories in the process. I’m with ya Matt. I will never succumb to the iWorld Kool-Aid. I bought an Android phone a couple months ago, for…..err, testing purposes. Yeah, that’s it. Although it does have the same Micro SIM slot as my 950. Unlike my Lumia 650, which has a Mini SIM slot. A basic Asus Zen something. $149. I have downloaded all of the Microsoft apps available, but have not logged in to any of them. I have managed to keep my Google personal dossier down to maybe a few dozen megabytes over the past 30 years. And want to keep it that way. Unless their willing to send me a check every month. I am reluctant to give Google access to my Microsoft credentials. Not sure what their spiders will do to my protected privacy. I was even able to initialize this phone with my Yahoo account, which is tied to my Google/YouTube account. So I can go to the Google Play Store WITHOUT a damn Gmail account. But it’s getting tougher. All the apps I have lost, or don’t have available on my Windows Phone, are on this test phone. PayPal, Amazon, Capital One, OnStar, myChevrolet. But I am reluctant to login to many. Especially my financial apps. Damn Evil Google. But the list grows every day. I don’t think it’s time yet. But it’s getting close. Maybe Bill can email me with some inspiration. Or, maybe not.